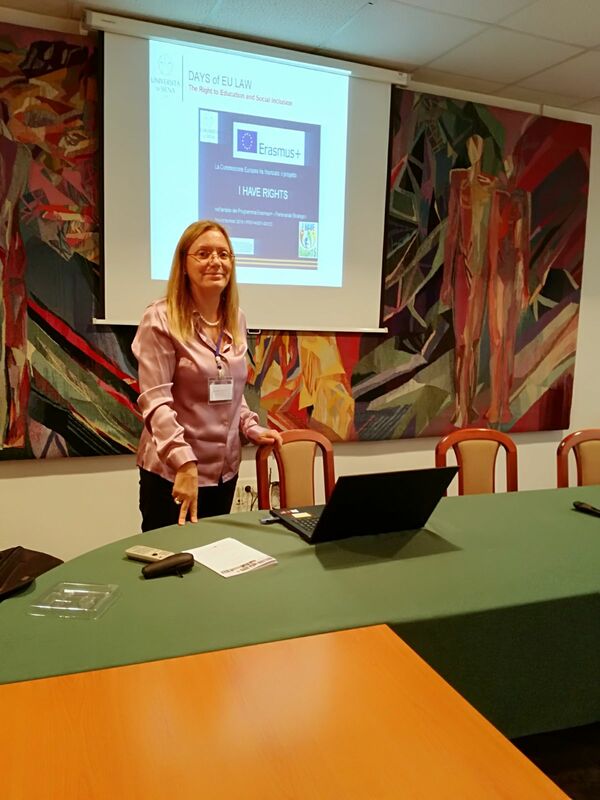 Alessadra Viviani's presentation of IHR project at 'Days of EU Law'. The Conference was organised by Faculty of Law and Political Sciences, Centre for European Studies of Gyor with the aim to identify the relevant aspects of EU harmonization and effects on national legislation while shading light on its legal, political, economic and social implications. The event was organised within the research stream of “Jean Monnet Module on EUBusiness Law” (EUBLAW) funded by the Erasmus+ Programme. Researchers became aware of IHR partnership, aims and results related to IO1 and IO2. The table of contect of IO3 was also introduced.